Who are you as a designer? This has to be one of the most important questions a fashion designer can be asked. That question presents you the designer with an opportunity to sell the inquirer on you as a fashion designer and not just on your clothing line alone. You should have premeditated honest answers prepared. The reason I state your answers should be premeditated, is because it will enhance the probability of you answering questions clearly and professionally. Rather you’re responding in front of an audience or in front of video cameras. Both situations can stimulate a bit of unexpected pressure. 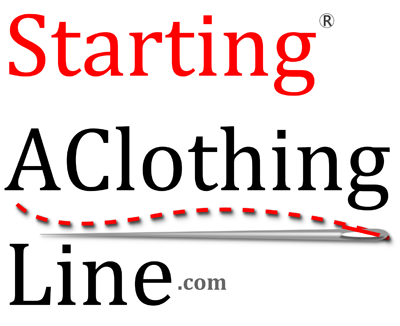 As a method of defining your clothing line, this is a question you must answer early on. Interviewing on camera can be a very tricky thing, and sometimes an interview can happen randomly. For example, let’s say you are attending a fashion event and the media large or small is present, even if the music is loud it won’t matter to them, because if they want the scoop on your clothing line, they will jump at any opportunity that presents itself. 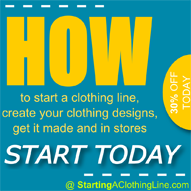 Moreover, you should be more than willing and ready to speak with them about your clothing line. It’s free publicity and to pass that up would be a cardinal sin at the very least. Now let me tell you when the camera lights come on, and begin to shine brightly in your in your face, along with a microphone up to your mouth and a person in your hear asking questions that you should know the answer to; all on camera mind you. If you are not prepared that interview may not go as well as you would like for it to go. Therefore, you should have a script just like the other 90% of people who stand in front of recording cameras do. Image is everything and at that moment yours is partially on the line. For that reason, be prepared, and you will get better results. Moreover, the great part about being asked, who you are as a designer. It presents you with an opportune moment to shine, and convey who you are and what your fashion brand represents. Rather it’s a potential customer, a store owner or the media; sell them all just the same. That way when they walk away from you, you would have made a big enough impression where your brand has taken up some mental-real estate in their minds, making them look forward to seeing what you have in store. Now that may sound tough or hard to do, but really it isn’t. It’s only hard when you are unprepared and lack organized answers. Think of it this way even Presidents and world leaders are responding back to interviewers with scripted answers. And like them, your only task is to be well rehearsed and just like them, you’ll be fine. Now when you come up with your script of who you are as a designer, remember this. Whatever it is you’re going to have to mean it; for example, when asked. Who are you as a designer? “I’m a risk-taker, and I don’t walk on the beaten path of fashion. I’m interested in trying to introduce never-seen-before pieces only. I’m going to defy the old saying that there is nothing new under the sun with incredible jaw-dropping garments. You’ll see!” (That’s my truth, and I have to mean it; because that’s what will come out during the designing phase. Additionally, always speak naturally when reciting from your script). Now that may take me six to seven seconds to say, but I think you should be able to deviate a bit on that particular answer, because the objective is to be honest and to sell them on you as a fashion designer in addition to your clothing brand. Your job is to dictate to the public who you are and what your brand is. And you should never let them figure that out for themselves, you have to tell them and make them believe what you are telling them is the truth! When your fashion line is properly defined, customers who are standing in front of a clothing rack or shelf that contains your fashion designs know exactly why they’re standing there. You have successfully explained to them the image they will project when wearing your brand. In addition, you’ll give the consumer something they too can externalize, which ultimately will make that person feel even better about their self when wearing your brand. Take a non-logo driven Gucci button-up shirt, for example; they charge their customers prices that range from $250.00 – $800.00. Now there are people who would ask why pay such a high price for a shirt when no one can tell what it is. The answer is Gucci has defined their brand really well that as consumers, we feel so great in their garments that it doesn’t matter if anyone can tell what we are wearing. However, the effects of what you are wearing will come out in your attitude, meaning your confidence will be through the roof; and everyone can see confidence. It’s very clear that, their customers really believe in the Gucci brand which they have defined to us all. It is solely up to you to duplicate what Gucci, Prada, Michael Kors and Chanel, etc., have done. You have to dictate to the customers what your fashion line means, and you have to own it. Never let anyone tell you different, and under no circumstances do you let anyone break you; and not for a moment do you let another person’s negativity pull you down. You are the person who determines what your line is, period! Develop a brand that you can stand behind with conviction and others will stand behind it as well! Now tell me what is the definition of your clothing line?